Gilbert Reveillon is President of the Strategic Committee of P2link. He graduated with an MBA from HEC Montreal. He has occupied international commercial & marketing management positions in Canada (Royal Bank of Canada & Evian with Danone Group dealing with USA & Canadian Corporate Accounts) and in London (UK) with the historical launch of the Eurostar High Speed train. After that he was Managing Director of OSS & Virgin Group before returning to France for Europcar International (500 Global Accounts within ACCOR Group & 30 countries). He is currently CCEF and President of ICT & Digital Economy at CNCCEF (network of C levels across 140 countries) to which he brings the benefit of his unique experience working for strong international leading brands. He is also Associate Professor and Researcher at the Mines Telecom Institute in charge of Entrepreneurship and Innovation Management. During the 10 years he worked at LaSer (part of BNP Paribas and Galeries Lafayette Groups) he was able to grow his considerable “industrial” expertise in IoT, Blockchain, Big Data, Smart City and Wearable technologies (winner in 2014 & 2015 of CES Las Vegas “innovation awards” including Digital Health Summit, worldwide CRM, and CRM). 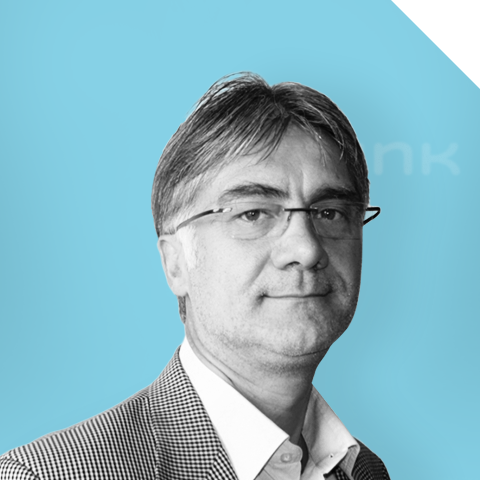 Gilbert Reveillon will bring to the Strategic Committee of P2link, chaired with great vision, his experience and worldwide network to create outstanding strategic opportunities.